Ca’ Rezzonico is the name of a beautiful Venetian Palace built from the middle of 1600. After the economic difficulties of the family for which it was originally built, it was bought by Giambattista Rezzonico, merchant and banker from Lombardy, who had purchased a title of nobility in Venice some years before. Upon the extinction of the Rezzonico family the Ca’ Rezzonico Palace underwent several changes of ownership. Since 1936, it houses the 18th-Century Venice Museum. And what a museum! You’ll see how wonderful the building is as soon as you get in! And how nice is the view on the Grand Canal! Before entering my husband had to deposit (for free) his backpack, but luckily I could keep my bag. My preciousssss… I hate when I’m obliged to leave her (bag in Italian is borsa and it is feminine), I’ve got something like an entire microworld in my borsa! 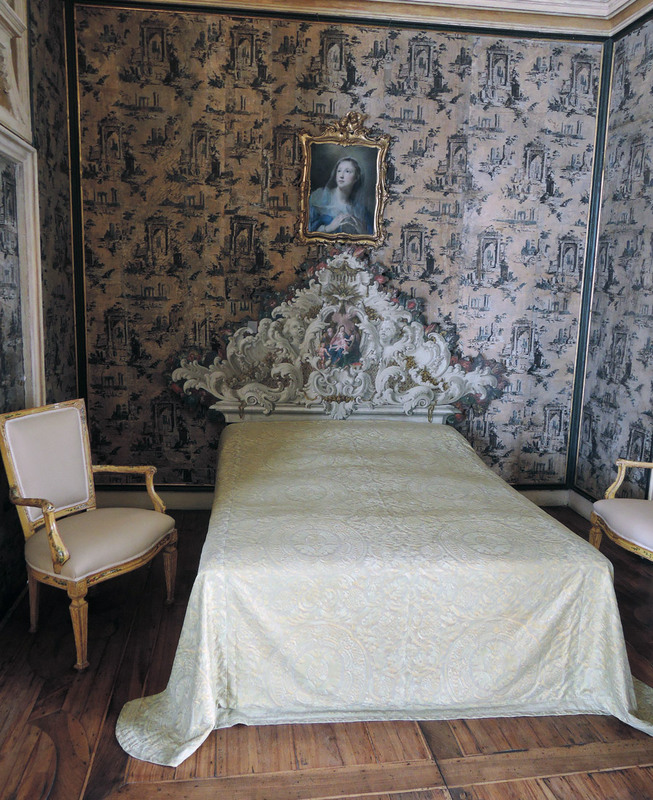 On the first floor there are 11 rooms with frescoes and decorated with paintings or tapestries and 18th-century furnishings. The first room you enter, the Ballroom, is the grandest. Such beautiful chandeliers. I’m gonna swing from the chandelier from the … chandeliiiiiiiier! 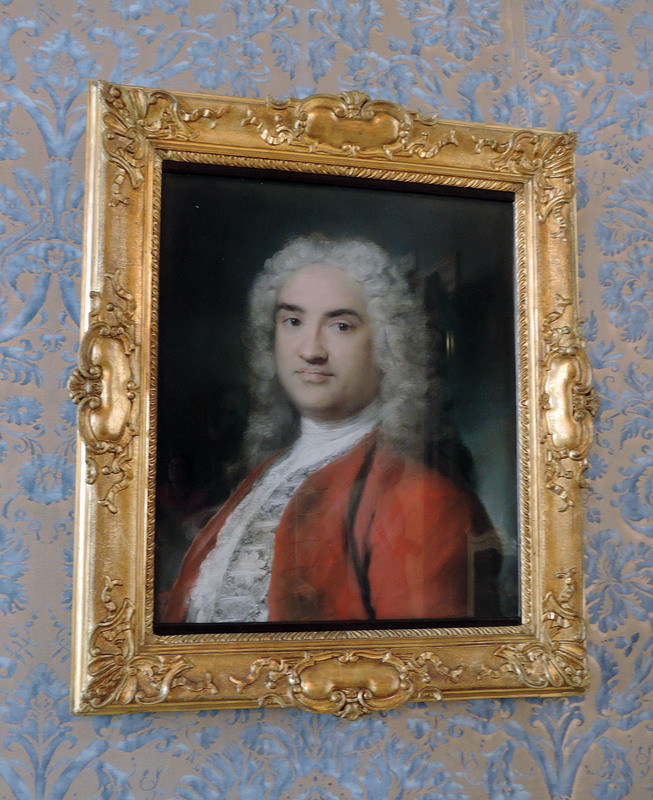 Wonderful the works by Rosalba Carriera, especially the Gentleman in red. She really mastered the pastel technique. Sadly my photos are really bad (there was a light reflection!). Another thing that I loved was the decorated door in the Tapestries Room. Look at it! Isn’t it beautiful? Another crazy piece is the golden frame in the Throne Room. I had never seen a frame like this before! All around (from top right corner) you can see depictions of: Love for the Motherland, Charity, Constance, Magnanimity, Prudence, Justice and Faith. You can admire the fresco depicting Nobility and Virtue overthrowing Perfidy in the Tiepolo Room. In the Brustolon Room (Brustolon was the sculptor who worked on the wooden furniture of the room) you can admire cabinets, consoles and other wood furniture in a.. well, let’s say questionable taste… as well as a chandelier (which I liked!) of 1730 polychrome Murano glass. This is for me the real highlight of the exhibit. The part I like most: the little paintings by Longhi. If you see his works singularly they are delicious, but seen together they make you understand how the life at that time was. They are funny, lively and unique. The rhinocero portayed by Longhi arrived in Venice in 1751. It was brought to Venice by a Dutch merchant as a part of a European tour. The morning chocolate, I’m so jelous of her drinking that hot chocolate! 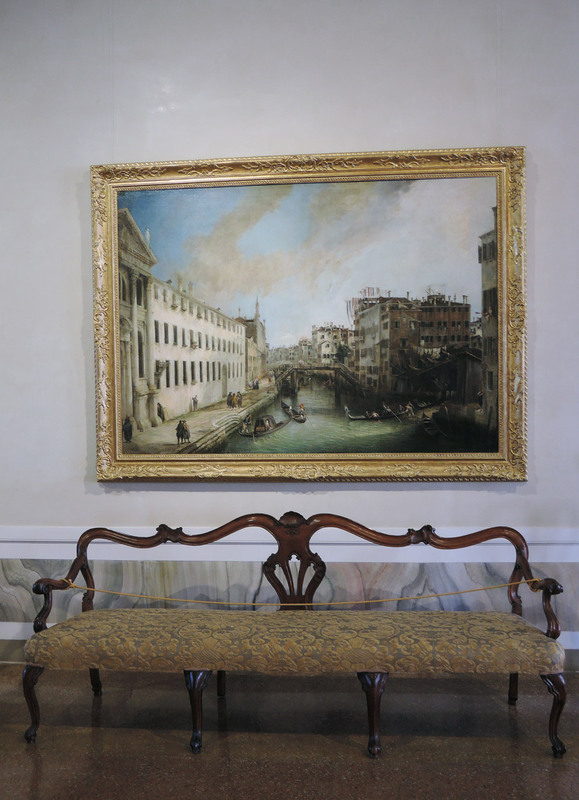 On the third floor there are the paintings donated to the Museum by Egidio Martini (a huge collection of painting with subjects of various kinds). I especially appreciated the Spring by Rosalba Carriera and a vintage Pharmacy transported here (visible through the glass doors). I want to point out to you an odd painting by Jacopo Tintoretto depicting a monkey setting fire to another animal clinging to a tree. Painters! Back on the ground floor, we visited (on the same side of the Café) five other rooms with works coming from another donation. Here you can see the most “bejewelled” Madonna I’ve ever seen (by Francesco Guardi) and a nice game table! 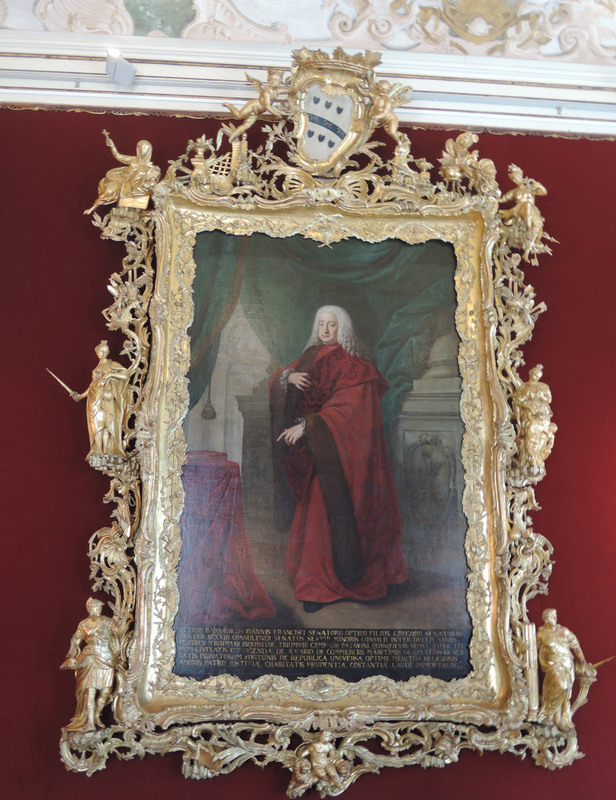 I really liked Ca’ Rezzonico, even if XVIII art is not my favourite and even if many art works or pieces of furniture were not originally in the palace. I still think that the result (although not in all the rooms) is very good. The visit took us about 2 hours (at first stopping at every object, taking pictures, etc. In the end going faster because we were tired). Explanatory sheets are a little… ehm… boring, yes, I said it! Some things are left out with no explanations and other things are too detailed. I had no patience to read everything!